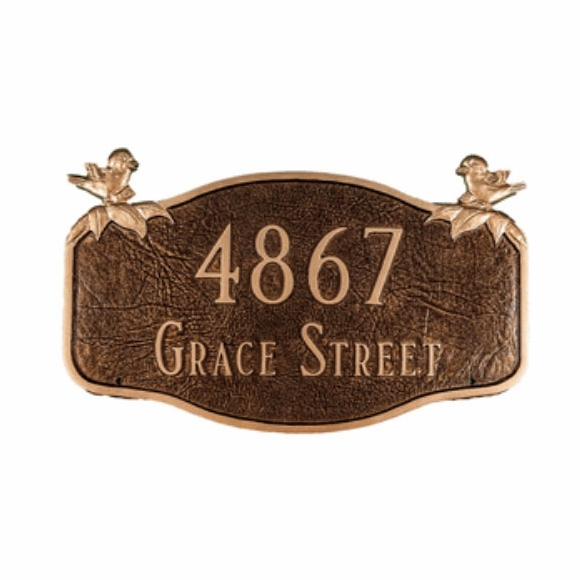 Personalized Chickadee Address Plaque - - two line nature theme address sign. A chirping chickadee stands guard on each top corner of this plaque. Made in USA. Holds two lines of twelve 2" characters. Note: the lawn mount sign is made with integrated extensions to hold the lawn stakes.